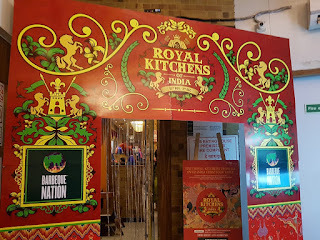 Pune, November 21, 2017: Barbeque Nation, one of India’s leading casual dining restaurant chains, brings to Pune cuisines from the erstwhile princely states, across India. Many of the recipes have been passed over generations of cooks who worked in the royal kitchens. Food-lovers can enjoy the scrumptious dishes at all outlets in Pune at Kalyani Nagar (Behind Aga Khan Palace), Deccan (R Deccan Mall), Wakad (Sayaji Hotel, Wakad on terrace), Amanora (Amanora Mall) and PCMC (Pimpri Chinchwad Area) starting from November 15 – 3rd December, 2017 at 7:30 pm. 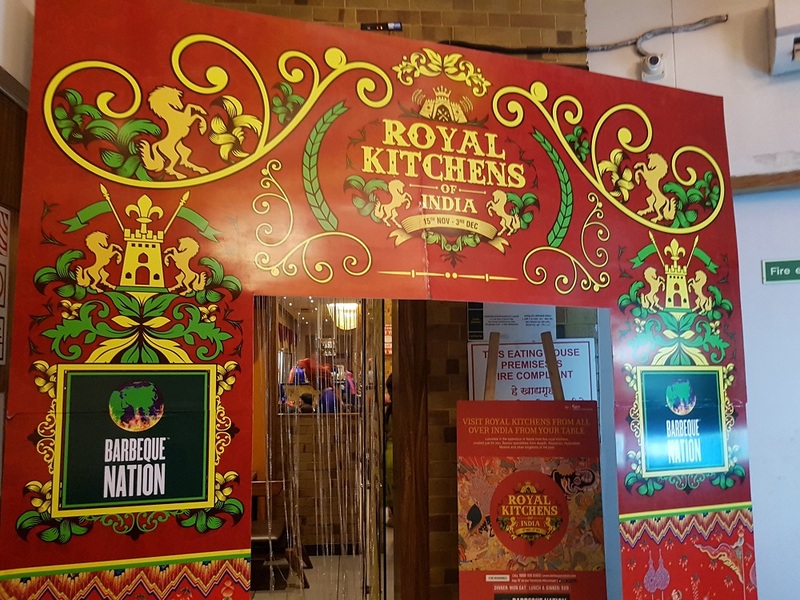 This festival will take customers on a food history expedition by presenting to them most delectable dishes from the northern states of Kashmir and Punjab to the southern states of Andhra Pradesh and Kerala. Guests can savor vegetarian starters like Mushroom Lajawab – a tempting mushroom preparation using chopped mushrooms, peppers, ginger garlic and seasonings, Mewa Shahi Kebaband Dahi ke Kebab – Awadhi curd dumplings served hot with mint chutney while non-vegetarian appetizers on offer include Anari Murgh Tangdi – chicken pieces stuffed with pomegranate seeds and cheese, marinated in a thick ginger-garlic paste, Ajwaini Fish Tikka – fish pieces marinated in a combination of yogurt and spices, infused with a slight flavor of ajwain, and Tuji Chicken – Kashmir’s classic Barbeque delicacy. Ellukeri – a curry in which toasted coconut and sesame seeds give a spicy flavor, while tamarind and jaggery contribute contrasting sweet and sour flavours; Zersarmani Paneer – a cottage cheese specialty from the royal kitchens of Rampur and Teliah Maah – a Himachali spicy yogurt curry, are among vegetarian main course items. Macchli Jaismand – tender fish pieces marinated in a green paste and cooked in a mouth-watering spices, Padampuri Murgh – a rich chicken recipe from the deserts of Rajasthan, prepared using khoya, ghee and loads of fragrant spices, and Awadhi Murgh Biryani can be enjoyed by the non-vegetarian patrons. To end their meals on a sweet note, guests can partake of Gur aur Badam ki Phirnee – a creamy rice based dessert, made with jaggery and almonds, Adrak ka Halwa, Mysore Paak – originally known as Mysuru Paak, made of generous amounts of ghee, sugar, gram flour and cardamom and Barbeque Nation’s signature, Banana Caramel Cake and a range of Kulfis, among other desserts. An addition to the list is Masala Meetha Paan for all paan lovers.